I used to spend a lot of time wondering why M. Ward was not one of the biggest artists in the world or even in his genre: he makes music that is not only sounds beautiful but is so well crafted that it actually makes you feel like you are living in another time period, he is one of the best storytellers in modern music, and at least a fifth of his recently released songs feature “America’s Sweetheart” Zooey Deschanel. M. Ward is an artist who makes music that can move you at a million miles per second yet stop you in the middle of your most intimate thought, it is music that is transcendental and time traveling yet somewhat still relevant, it is music that tells us stories yet allows us to create our own stories to the same music, and he has music for every occasion not only in our life but for the life of anyone who came before us. You would think that a musician who makes music so transcendental and timeless would be one of the biggest artists in the world, but if I walked down the street right now and asked people what “M. Ward” was, they would probably think I was describing one of my 13 medical conditions. Why do more people not know of the majestic music of Matthew Ward? The simple “copping out” answer was always that people were to interested in moving forward to even consider something that sounded remotely like a distant past. People wanted the Lil Jon and not the “little” references to famous authors throughout M. Ward’s lyrics, people wanted auto tune but not wanted to “tune” out to one of M. Ward’s slow moving storytelling songs, and people wanted dub step not music that made them want to step to the Charleston. The “cop out” answer was that M. Ward was as outdated as the flip phone, second amendment and Afro combined. But as someone who has general faith in people, I just could not accept this. I, for some reason, have blind faith that people will not just ignore something because it reminds them of the past. I just had to find another reason. And then as I was quietly studying for my Music Appreciation test it occurred to me that people hated M. Ward because he was more of a scholar than an actual musician. As I read about the Medieval, Classical, Baroque, Impressionistic and Modern Eras of music I realized that listening to M. Ward for most people was more educational than it was enjoyable. M. Ward for most people was more of a textbook on how to make music than he was an actual voice on a track on an album, he was more of an exasperation than an actual emotional connection, and he was always more of a history lesson than an actual human being. Even though M. Ward’s albums may have been “near classic” in terms of quality, to the casual listeners they were just an essay with a really bad premise: M. Ward was making transcendental escape music that only brought us to the places we hated the most. Ward’s goal in music had always been to mix all of the classical genres and sounds and make them sound modern, when his goal should have always been to mix all of the modern sounds and make them sound classical. If he did this his music would become a cinematic tribute to all of the historically great music instead of being a trivial and outdated textbook that no one wants to listen to in the 21st century. I was expecting A Wasteland Companion to be more of the same: for it to be more educational to be emotional, for it to be more precise and pretentious than free flowing and fantastic, for it to be so crafted and produced that it could never be anything close to being vulnerable, and that it would be more of a history lesson than an actual important record historical. But when you listen to the last verse of “Clean Slate” you realized that M. Ward is finally fulfilling his musical destiny: the lyrics finally show some sort of “average guy” weakness, the guitar riff and the overall feel of the song makes us feel like the 1960′s are traveling to us instead of us traveling to the 1960′s, and the song ends with a peaceful silence that loudly assures us that something important is on the horizon. A Wasteland Companion is Matthew Ward turning his music from something as grueling as the reading of a textbook to something as pleasurable and peaceful as balancing talent and knowledge with whatever is best for the individual listener. Another thing that is fascinating about A Wasteland Companion is that while it is Ward’s most accessible album, it is really just a condescended and crafty combination of all the best moments from his best previous albums The album is an awesome combination of the dark “railroad” soul folk of Transistor Radio, the distorted rocking nature of Transfiguration of Vincent, the storytelling and romanticism of Post-War, and the country elements of Hold Time. A Wasteland Companion is basically a modernized “greatest hits” filled with new songs: “Clean Slate” is an even more open and gorgeous version of “Poison Oak”, “Primitive Girl” sounds like a sped up version of “Rave On”, “Me and My Shadow” is a more down to earth and less cliche version of “Sad, Sad Song”, “Sweetheart” is a more memorable version of “Never Had Nobody Like You”, “I Get Ideas” is a more upbeat “Chinese Translation”, “The First Time I Ran Away” is a slower, smoother, and more powerful version of “Helicopter”, “A Wasteland Companion” sounds like a meaningful version of “Jailbird”, “Watch The Show” is a darker and more aggressive version of “Deep Dark Well”, “Crawl After You” is a more meaningful “Oh, Lonesome Me”, “Wild Goose” is a more “campfirey” version of “Afterword/Rag”, and “Pure Joy” is “Epistemology” with a soul. Instead of serving as a unreadable textbook and take on the history of music, A Wasteland Companion is a open and modernized combination of all of M. Ward’s previous success. 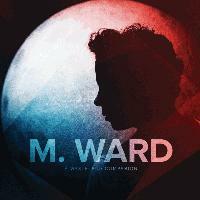 Instead of being one man’s forced take on the history of music, it is M. Ward’s take on the history of M. Ward. And that is what makes A Wasteland Companion such a relieving, beautiful, and rewarding experience. M. Ward might not become one of the biggest artists in the world in the months and year following the release of A Wasteland Companion, but it is important to note that he has finally created a record that is vulnerable, free and modern enough to be considered by the mainstream. Instead of being a textbook that forces every facet of the past on you, A Wasteland Companion is a record that let’s you take time with you: it is a 2012 dinner by the lake with Henry David Thoreau, it is a night out on the town with Ernest Hemingway, and it is a record that can take any place you want to you just by listening. M. Ward has finally created a record that was more Midnight In Paris than a 45 minute documentary on the history channel. Because of this he has not only created a brilliant and accessible record, but he has done something much more important: realized his potential. I wish I could say the sky was the limit for M. Ward, but that might not do A Wasteland Companion or his musical future justice. Because M. Ward might just end up making music that can bring the sky down to us.